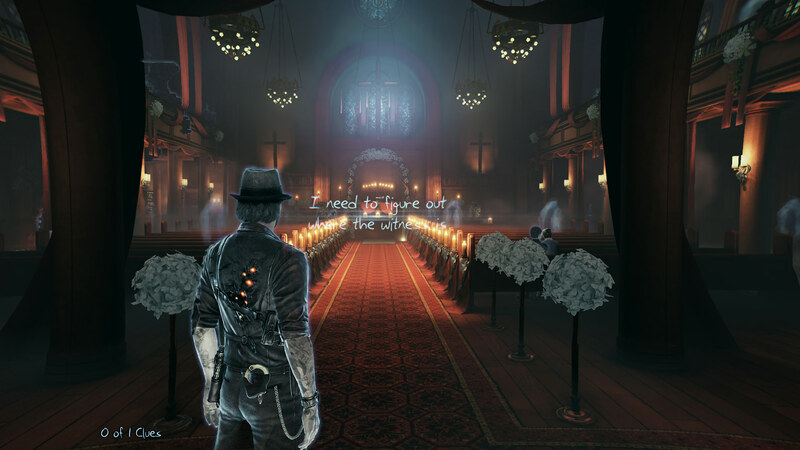 Murdered: Soul Suspect was not the game I thought it was going to be. When I started the game I didn’t have much information on the game other than knowing that the ability to observe crime scenes as a ghost was present. There were plenty of trailers and press releases leading up to the game’s launch, but I like to go into a game blind so I that I don’t have any preconceived thoughts on the game. Maybe I should have watched a trailer or read more on the game because what I expected from the game and what the game actually is are two completely different things. You play as Ronan O’Connor, a cop with a checkered past, who has lost his wife and now relies on his job as a cop to sustain him. Within the first five minutes of the game, O’Connor is murdered by being thrown out of a window and then shot at point-blank range. Before being able to pass into the afterlife, O’Connor is tasked with finding out who his murderer is and why he was killed. He is now stuck in limbo and has to use supernatural abilities to solve his own case. While investigating his own death O’Connor meets Joy, a girl who can see and speak to people who are stuck in limbo. Joy is on a mission to find her mother and since the disappearance of her mother and O’Connor’s death are somehow related, Joy and O’Connor team up to work together. O’Connor is the brains of the operation and Joy does his bidding in the real world since he cannot actually interact with the real world. O’Connor’s murder and Joy’s mother’s disappearance are just a couple of pieces of the puzzle and by playing you will learn how it all fits together in the end. That’s a relatively simple breakdown of the gameplay but at its core that’s what it boils down to. There are some other gameplay elements that are thrown in here and there to break it up. For example, to arrive at one of the scenes you have to help Joy make it through a level unnoticed, diverting people along her path. Once you arrive at a scene the next thing to do is to scan the scene for evidence and clues about what has happened there. Scanning a scene is as simple as walking around the room looking for items and clues that provide you a button prompt to take a closer look. I had a few problems with this system as I got further along in the game. In order for that prompt to appear you need to be able to be in close proximity of the item or clue. In one part of the game I had a lot of trouble finding a clue and to find it O’Connor had to be positioned in an exact spot to find it. This frustrated me and I thought that maybe a hint system could have kicked in after about 10 minutes of circling the room. Once you have solved a room the next part is to leave the area and return to the town hub. This is when demons spawn as you leave your scene and you must either avoid the demons or take them out on your way out. This gameplay element seems like it was an afterthought and was only put into the game to extend the amount of time it takes to play through the game. It was actually the part I hated the most. 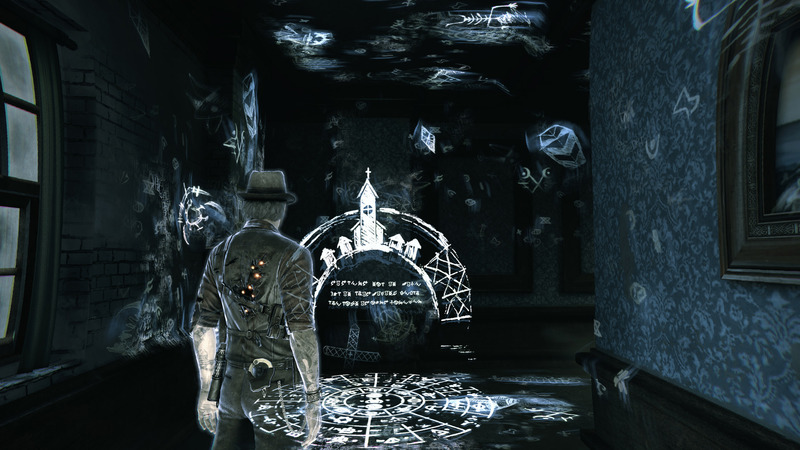 Murdered: Soul Suspect is littered with collectibles and side missions as well. Collecting items in scene areas and in the town hub will give you more information on the story and characters in the game. Side missions in the game aren’t that bad either. They are like mini versions of the full game. In one side mission you have to help another person caught in limbo find out why she was killed by and what happened to her body. They are a nice distraction from the main story and really help extend the length of the game. Visually, the game is not a stunner, but does a nice job in making the world believable. 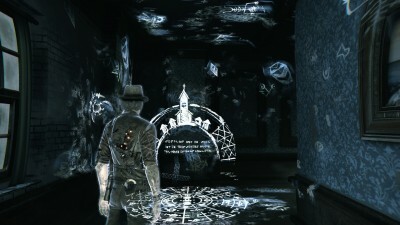 The streets of the town hub have ghosts scattered about and the locales do a good job in keeping the player immersed. I think that developer Airtight Games has done a great job with the art and style of the game. The only issue I had with the visuals was the lip-syncing. At times, the characters lip movements do not match the dialogue and it kind of breaks the immersion since there are so many cutscenes in the game. Bad lip-syncing is particularly noticeable in side missions. 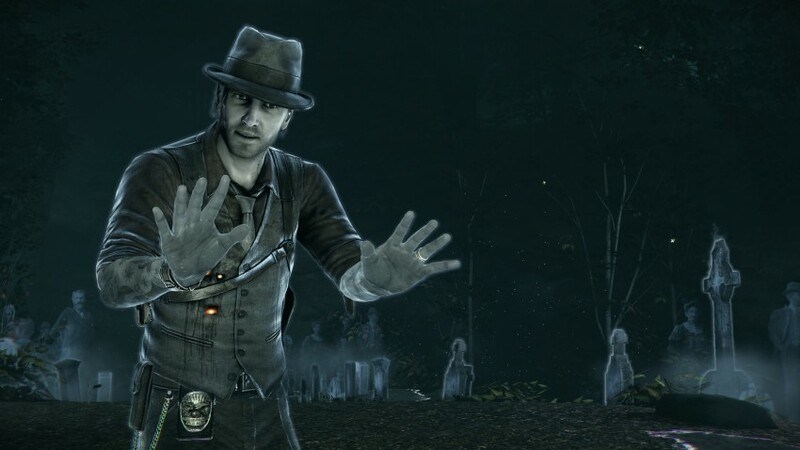 Murdered: Soul Suspect is not a bad game it just falls short in the gameplay department. I thought that Soul Suspect was going to be more engaging but it’s not quite as involved as I thought it would be. 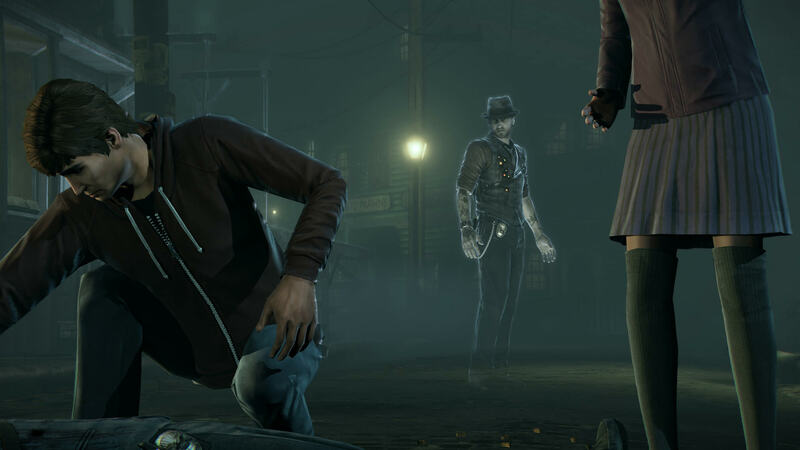 I would say that Murder: Soul Suspect is very similar to the TellTale series of games where it is more of an interactive story than it is a game. It’s a good thing that the story is decent enough to get most people through the whole game. I think the retail price for the game is set too high and maybe should be in line with what TellTale charges for maybe two episodes of one of their series.